Fertilizers containing nitrogen and phosphorus negatively affect our ponds as they move from lawns into the watershed and into our ponds and estuaries. 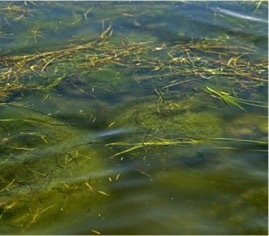 All forms of nitrogen fertilizers and phosphorus promote plant growth including algae in our waters. While we recognize that fertilizer use contributes a small portion of the nitrogen leaching into our waterways, it is something that every homeowner, landlord or renter can control and thus contribute to Orleans’ wastewater management solutions. Orleans has adopted a new, stronger bylaw to reduce the impact of fertilizer runoff into our ponds, lakes, and estuaries. Like most towns, Orleans is initially relying on educating people about the new bylaw rather than attempting to launch a strict enforcement program. Here are some key points to remember during the spring and early summer growing season. You should never apply fertilizer immediately before a heavy rainfall. While new fertilizer bylaws and regulations are taking effect across the Cape, we’ve found that many homeowners, private landscapers, and commercial lawn services are slowly becoming aware of the new restrictions. Homeowners should talk with their landscaper or lawn service about the bylaw and about using pesticide-free organic slow-release fertilizers whenever possible. OPC recommends that you only have a Cape Cod type lawn that won’t require annual nitrogen and phosphorus applications. Planting drought resistant fescue and perennial ryegrass varieties rather than Kentucky Bluegrass varieties will provide a lawn that doesn’t require irrigation and pesticides to control insects and diseases. Furthermore, living on Cape Cod with our watersheds that flow into our ponds and estuaries, we are the stewards of these water resources for future generations. With fewer Kentucky Bluegrass green lawns and irrigation systems we can help preserve our water bodies from becoming contaminated with algae growth and you can manage your landscape and protect our fragile waters by using less nitrogen and phosphorus. Also remember that wise use of fertilizers is written into the adaptive management portion of our Comprehensive Wastewater Management Plan (CWMP). Being aware of the importance of what we put on our lawns and in our gardens is one way for us to possibly reduce future cost and/or postpone later phases of implementing our CWMP. Keep these helpful practices in an easily referenced placed to help save our ponds and estuaries! Orleans Organic Land Management Plan for town owned land can be found here. 2012 Map of Orleans Groundwater Basins we need to protect.